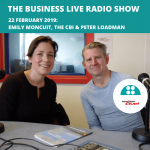 Emily Moncuit of The CBI and author, coach and mentor, Peter Loadman. 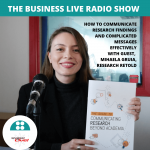 How to communicate research findings and complicated messages effectively, with Mihaela Gruia of Research Retold. 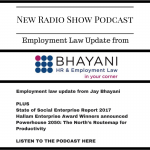 New interview with Jay Bhayani with the latest need-to-know updates on employment law. 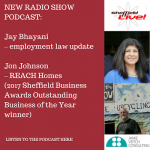 Plus Jon Johnson of REACH Homes, the newly-crowned ‘outstanding business of the year’ in the Sheffield Business Awards. 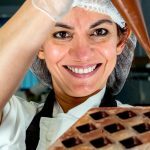 What do the following have in common: a 22-year-old who makes cajons and other musical instruments in Northern Ireland; a chocolatier in Ely employing young people with autism to create delicious confections; Sheffield’s Real Junk Food Project; an Argyll artisan smoke house; the UK’s first purpose-built breastfeeding café; and a designer and manufacturer of climbing kit? 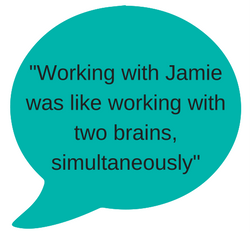 Why Stagecoach Yorkshire has donated resources to Bents Green Specialist Secondary School. 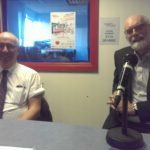 Plus Peter Thornton-Smith, an expert in business quality, management, processes and systems, on “lightening the load” for SMEs and a new forum for freelance and sole-trading business owners and small businesses. 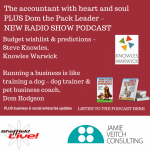 Interview with dog trainer and pet business coach, Dom Hodgson, and (in the words of a listener) an accountant with heart and soul, Steve Knowles. 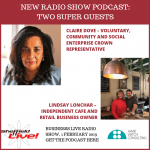 Harnessing support from a politician can help you to fight injustices, assert your consumer rights even when big businesses want to ignore you, generate publicity for your community project, and open doors you’ve previously had closed in your face. 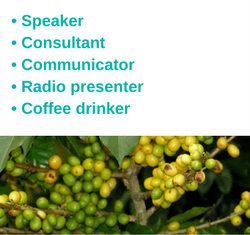 But how do you get politicians on your side? 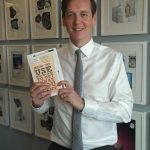 Scott Colvin can tell you in this new radio show podcast. 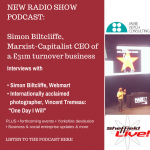 The programme also features Kurtis Wright of Sheffield Community Technologies (and Loci Pay).